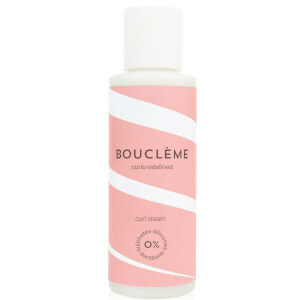 Take care of your curls with Bouclème Curl Cleanser, a non-foaming shampoo that prioritises moisture to keep coils looking bouncy and hydrated. 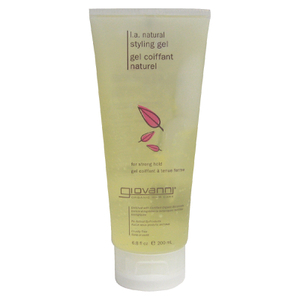 Harsh foaming agents can strip moisture and leave curls looking dry and frizzy. That's why this shampoo has a zero foam formula. It effectively cleanses the scalp and hair without compromising natural moisture balance. A special cocktail of Argan, Virgin Coconut Oil, Honey, Aloe Vera, Linseed and Pomegranate extracts work to nourish and moisturise the cuticle from the inside out, while a natural fragrance of Citrus, Spearmint and Magnolia Leaf leaves hair feeling fresh and revitalised. Gentle enough for everyday, the curl shampoo will leave your curly hair feeling hydrated and replenished. Free from parabens, sulphates and silicones. Wet hair thoroughly, ensuring hair is saturated with water. Apply enough to ensure scalp is well covered. Add water to distribute cleanser across the whole scalp. Massage scalp and hairline well, using pads of fingers. Rinse the hair and scalp thoroughly. Aqua, Cetearyl Alcohol, Glycerin (Vegetable), Polyglyceryl-3 Dicitrate/Stearate, Cocos Nucifera (Virgin Coconut) Oil, Argania Spinosa (Argan) Oil, Benzyl Alcohol, Distearoylethyl Dimonium Chloride, Hydroxypropyltrimonium Honey, Methylcellulose, Linum Usitatissimum (Linseed) Seed, Guar Hydroxypropyltrimonium Chloride, Hydroxymethylcellulose, Dehydroacetic Acid, Punica Granatum (Pomegranate) Extract, Aloe Barbadensis (Aloe Vera) Leaf Extract, Propanediol, *Litsea Cubeba (May Chang) Flower Oil, *Citrus Grandis (Grapefruit) Peel Oil, *Citrus Reticulata (Mandarin Red) Peel Oil, *Citrus Aurantium Dulcis (Sweet Orange) Peel Oil, *Citrus Aurantium Bergamia (Bergamot) Fruit Oil, * Origanum Majorana (Marjoram Sweet) Leaf Oil, *Rosmarinus Officinalis (Rosemary) Leaf Oil, *Mentha Viridis (Spearmint) Leaf Oil, *Pogostemon Cablin (Patchouli) Leaf Oil, *Michelia Alba (Magnolia) Flower Oil, *Michelia Alba (Magnolia) Leaf Oil, *Cymbopogon Martini (Palmarosa) Leaf Oil, Styrax Tonkinensis (Benzoin) Resin Extract, *Tilia Cordata (Linden) Flower Oil, **Limonene **Linalool **Geraniol. *Natural Pure Essential Oils. **Potential Allergens.